On-Demand access to chemical inventories from any connected device. KHA knows that accurately maintaining your safety data sheet inventory and knowing precisely which chemicals your employees are working with is important for your company’s bottom-line. Regulatory violations are costly, not only financially, but your company’s reputation suffers as well. KHA’s Online-SDS™ services are optimal for streamlining the management of your safety data sheet inventories. We provide you a cost-effective method for giving your facilities on-demand access to the information needed to help diminish risk, increase workplace safety and assure regulatory compliance. Your system gives you access to the most current SDS. Download, print or store locally; you have unlimited access for all users. We index each SDS with 35 fields of data. Our powerful search engine allows you to locate SDS by any of the 35 fields of data. The advanced search feature also allows you to perform specific multi-criteria searches. You are safeguarded from Internet failure or power loss. Our Load-N-Go™ backup allows you to store all of your SDS for emergency access off line. Off-line Load-N-Go™ SDS can be stored on a flash drive, laptop, etc. In non-emergency situations, a single-click downloads the most current SDS for future offline access. Automatically give all employees access to the most up-to-date SDS. Archive (M)SDS for products that are no longer in use. You are not billed for archived (M)SDS. OSHA’s support of the Globally Harmonized System (GHS) has made it essential that employers maintain an accurate safety data sheet library. 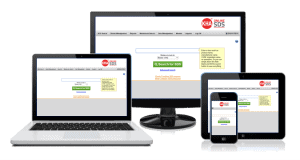 Online-SDS™ allows unlimited access to a vast database of safety data sheets that are updated regularly. Advanced search features allow you to locate the information you need according to 35 fields that we index. In addition, we allow you to provide us with up to 7 unique identifiers to associate with your safety data sheets, making for greater efficiency in your workplace. Online-SDS™ gives insight into the chemical composition of the materials in your inventory. We monitor the chemicals in your inventory against local, state and federal lists so you can compare your inventory against those established lists. Materials that require regulatory reporting are flagged in your system, allowing you to generate the proper report to ensure regulatory compliance of your facilities. KHA will help you develop secondary labels, in the size you need, that are in compliance with regulatory requirements. We work with you to develop a plan that aligns with your facility’s needs and captures the specific information directly from your safety data sheet inventory.